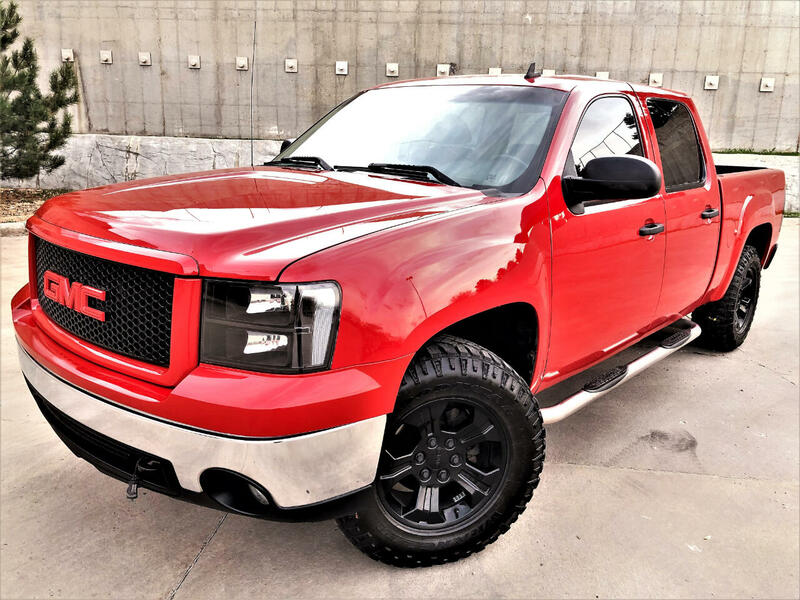 Truck Kings Custom 2007 GMC Sierra SLE 1500 Crew Cab with all of the right stuff. Featuring: Plush Black Cloth Interior, Steering Wheel Controls, Voice Command, Fog Lights, Step Bars, 5.3 Liter V8, Automatic Transmission, Pavement Churning All Wheel Drive and Much More! Come join the Truck Kings family as we revolutionize the used truck and SUV industry. You can apply for Financing on our website, get Directions and more. Call us at 303-996-8822 with any questions or to schedule a test drive today. All Prices reflect cash purchase or credit union finance only, for other methods of purchase feel free to inquire with us, we are very flexible and can cater to individual situations, prices subject to change. We are an honest, straight forward dealership with a strong clientele base, feel free to research our reviews. Confide in our reputation and you won’t be disappointed, we guarantee it. Message: Thought you might be interested in this 2007 GMC Sierra 1500.